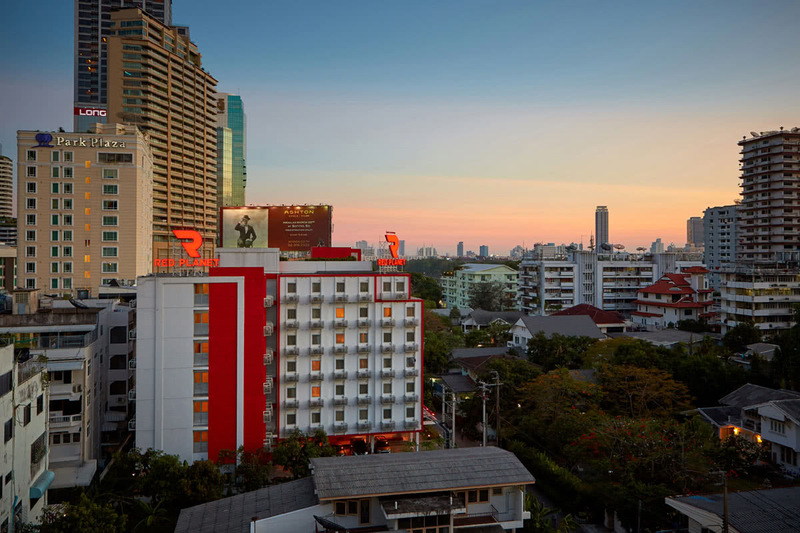 The best of Bangkok is within minutes when you stay at Red Planet Bangkok Asoke. 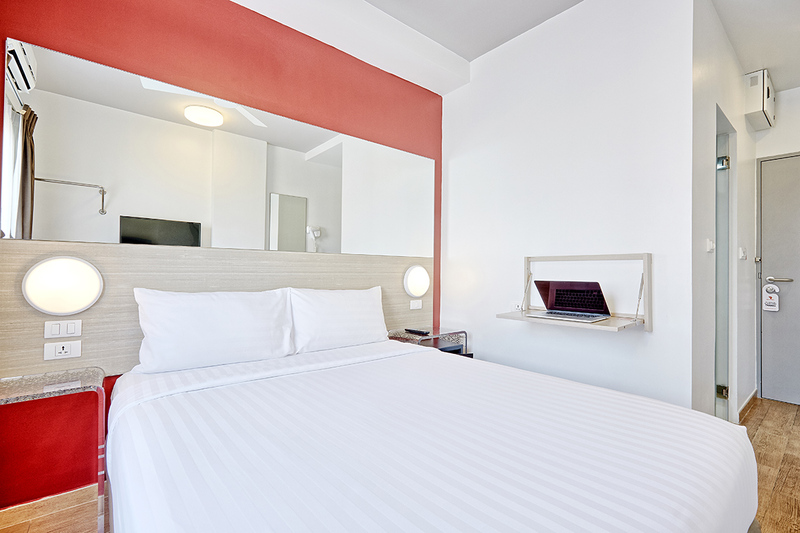 Centrally located at the pulse of Sukhumvit Road, the budget hotel offers modern rooms with comfy beds and jet-lag fighting power showers. Sticking to our tech-savvy theme, power outlets are aplenty, and Wi-Fi is high-speed so you’ll always be connected. 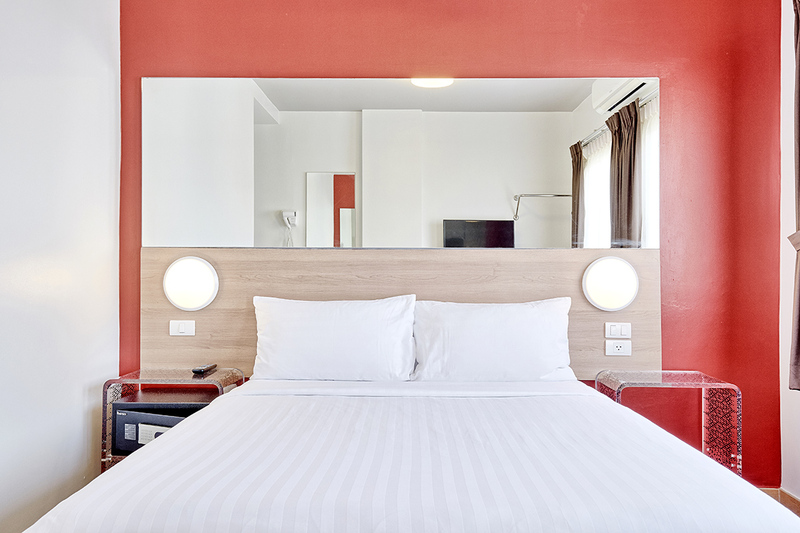 Save on sleep, spend on adventure when you stay at this hotel in the heart of the capital. My favorite hotel in Bangkok! "This is my favorite hotel in Bangkok. 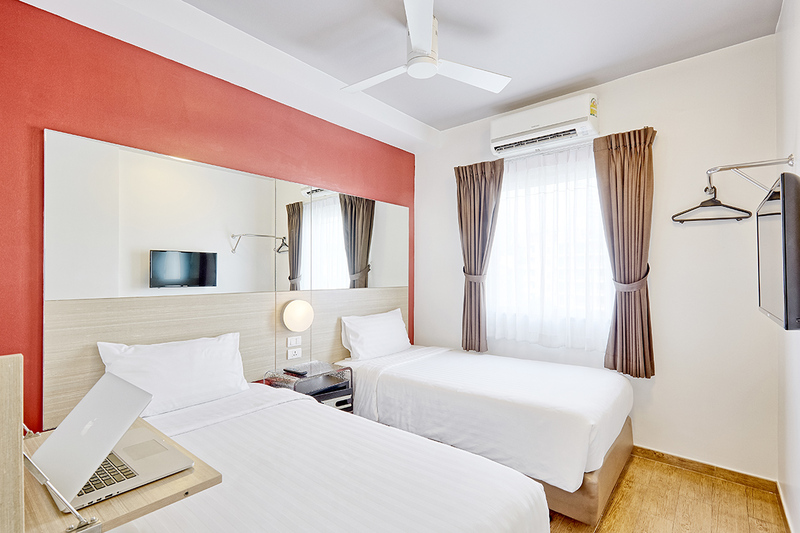 I've stayed at dozens of hotels in Bangkok in different neighborhoods at different price points. I've stayed at Red Planet Asoke 7 times. I love Red Planet for a number of reasons. 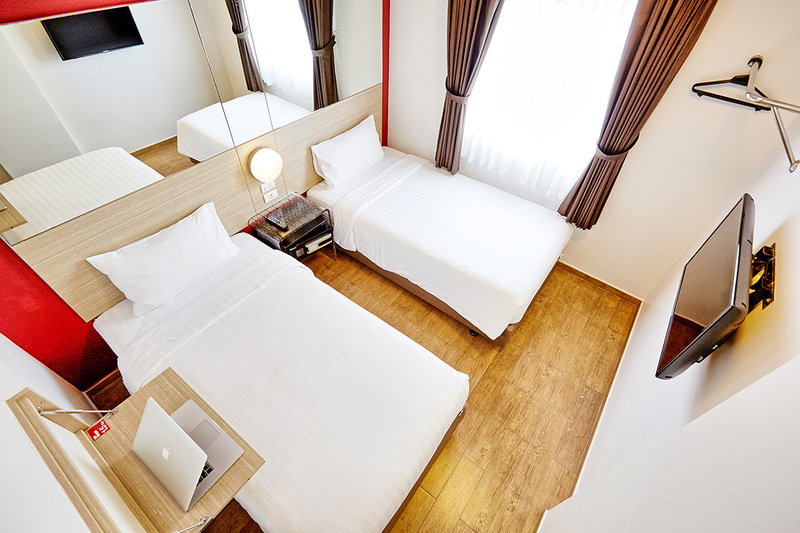 - Location: Located next to SkyTrain, MRT, and Terminal 21. 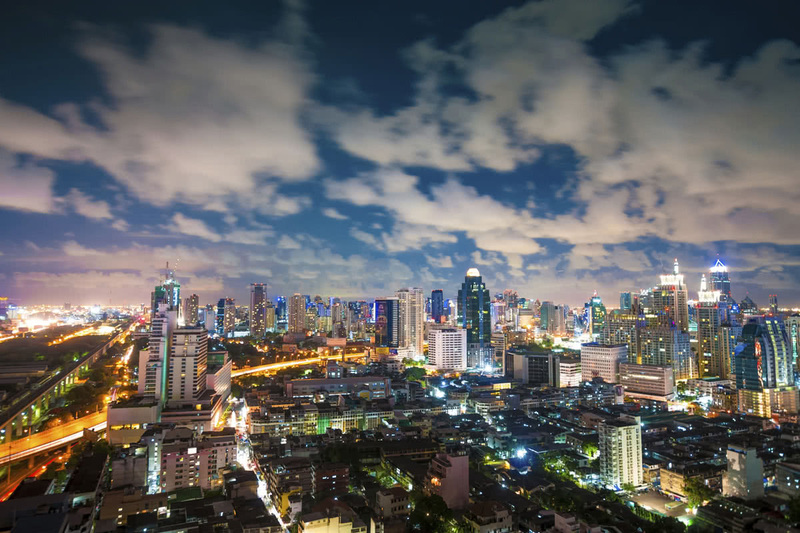 It's easy to get anywhere in Bangkok from here. You can walk to Terminal 21 for lunch and dinner. There's a great food court there. - Staff: I've stayed here so much I know the staff here. They are friendly, smiley, and polite. They even arranged to have my laundry done! 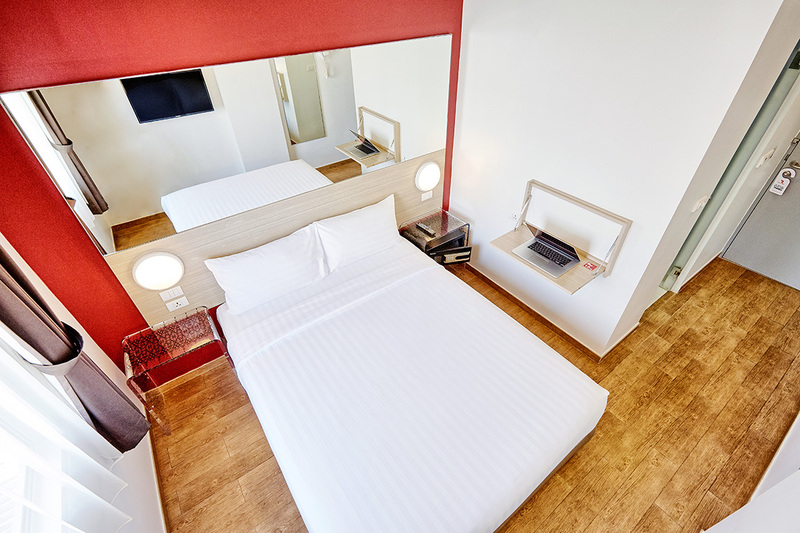 I really recommend staying at Red Planet Asoke. 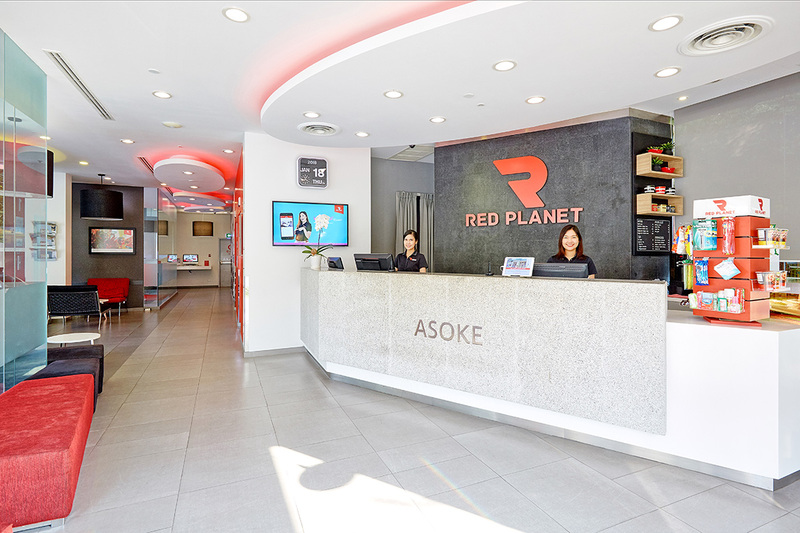 I've stayed at more expensive, 4-star properties in Bangkok but the combination of value, location, and staff make Red Planet Asoke my favorite."